Yeah, you know we had to check this out. 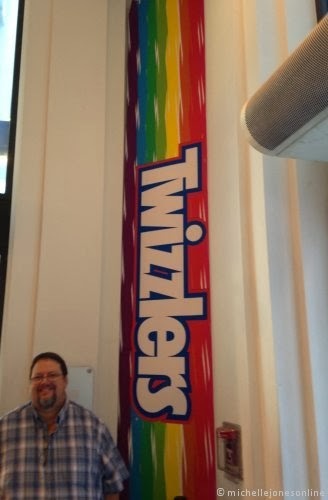 Outside, the candy entrance is 16 stories high. 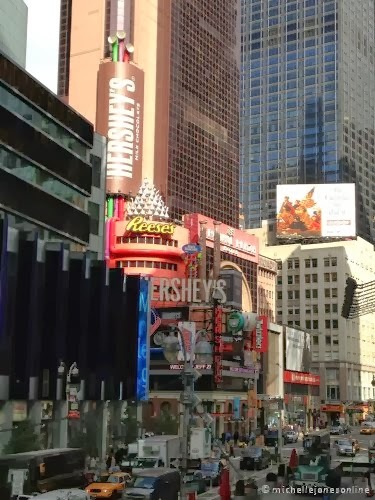 Inside, they give away free samples, of CHOCOLATE! This month's flavors were Caramel, and Limited Edition Pumpkin Spice. Oh my. 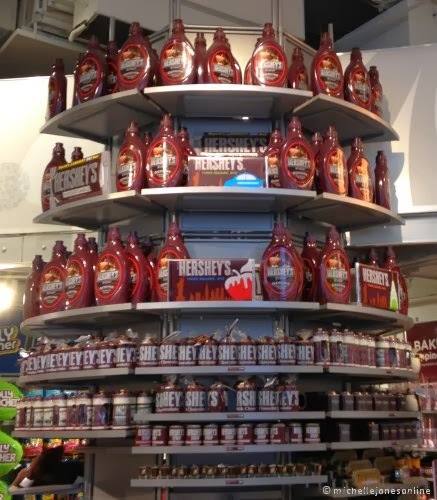 A girl could get lost in this place. 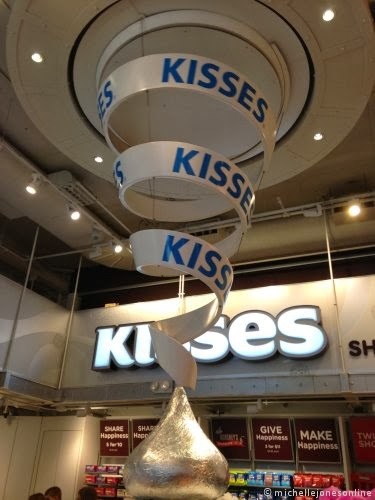 This silver Hershey's Kiss twirls! 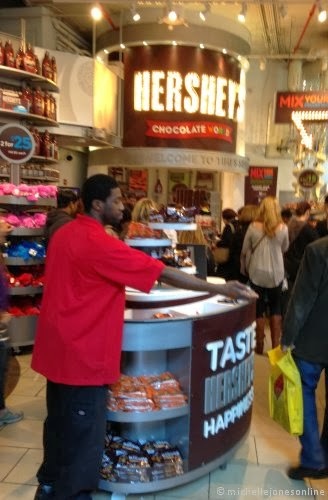 Hubby doesn't care for chocolate, not even free samples. And that's okay.